The dramatic turn the Euro has taken in recent times against the UK Pound and the US dollar will surely make a difference in the running costs of any business and household in the Republic of Ireland. 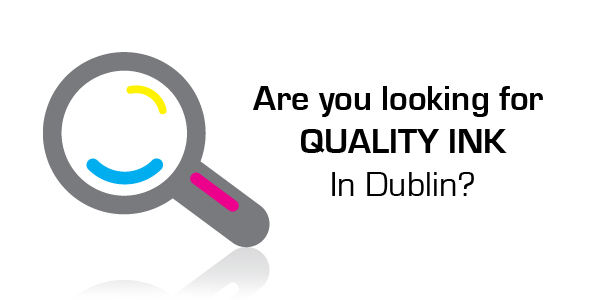 Focusing on one of the many elements that will be affected is the cost of printer ink cartridges in Dublin. The running costs of a business such as bars, restaurants or hotels that have daily print requirements can push up the cost of printing if they are currently using a supplier in the UK. The recent fall in the value of the Euro means you will in effect get less ink per cartridge for your Euro and the alarm bells should be ringing for you to shop around! For any business or busy home user printer ink in Dublin has become an increasing expense in the last few years but with the advent of many online suppliers offering low cost next day delivery to Dublin, thankfully the cost is coming down. Many online suppliers will sell compatible or remanufactured ink cartridges at a fraction of the cost of the original brand offering big savings and in some cases free ink or gifts. Aside from the novelty factor of a free gift, these online suppliers want your repeat business and are willing to reward you for your custom in an effort to get you to buy from them over and over again. During these austere times buying Irish is the best way to support the economy while still trying to get the best deal available. Many suppliers offer multipack deals that can make the ink cartridges in Dublin for as low as €1 a cartridge plus the standard 23% VAT. This will better even the low cost cartridge refill in Dublin. While the cartridge refill is generally thought to be more eco friendly than buying new cartridges, the simple fact is that you can easily have your non-refilled cartridges recycled by bringing them to your local Dublin City Council amenity site. Recycling your ink and toner cartridges is an important part of our responsibility to our planet and both compatible and refilled cartridges should always be disposed of responsibly. From a financial point of view, keeping ahead of the game by buying your ink cartridges in Dublin in a smarter way can help businesses and households weather the storm until such times as the Euro makes it way back up to where it belongs.